Plumbing problems are a fact of life. No matter what you do, they will happen at some point in time so it is important that you be prepared. The best way to prepare for a plumbing problem is to know who you would call if one should happen. 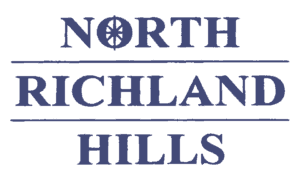 Luckily, residents and businesses of North Richland Hills, TX are able to call upon one of the best for help. They can call HEB Plumbing & Sprinkler-Kathlyn Smith. 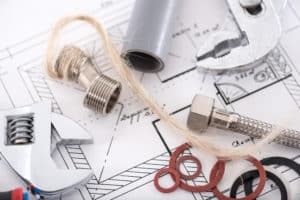 For over 35 years, HEB Plumbing & Sprinkler has provided superior quality commercial and residential plumbing services to business owners and homeowners located all across North Richland Hills, TX. Owned by the only female Master Plumber in the Dallas-Fort Worth area, HEB Plumbing & Sprinkler is the company residents and businesses call when they have a plumbing problem or just need basic plumbing maintenance services. Residents and business owners know they can trust HEB Plumbing & Sprinkler to not only work in a professional manner but to provide honest price quotes for plumbing projects. The commitment to providing honest pricing on plumbing projects allows people to feel confident they are getting the best price on their plumbing services. Whether you need someone to help fix a leaky pipe or you need your water heater replaced, the expert plumbers at HEB Plumbing & Sprinkler are here to assist you. Call our offices today to schedule an appointment or to request a price quote for an upcoming plumbing project. Can’t recommend this company enough, very hard working, helpful in diagnosing the issue, not expensive, have helped with outdoor sprinklers, leak under patio, and indoor plumbing. We have been so impressed with the quality of service with these plumbers! They have done our sprinkler system as well as our kitchen plumbing! Great attitudes and great service! Wonderful service, they knew what they were doing, and even better value. Thank you! Thank you so much for the 5 Star Review. We so appreciate your business! Thank you Ralph for your 5 Star Review and kind words. We appreciate the opportunity to serve you! 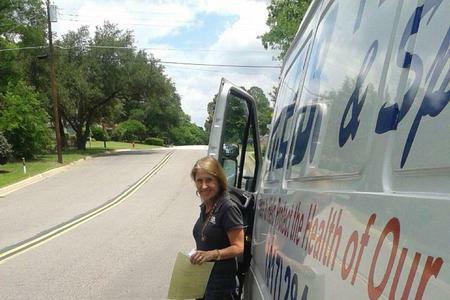 Kathlyn Smith, owner & responsible Master Plumber of HEB Plumbing & Sprinkler, 817-283-8888.